Since now many years, the villages of Balderschwang and Obermaiselstein tried to interconnect the ski resorts of Grasgehren and Riedbergerhorn. 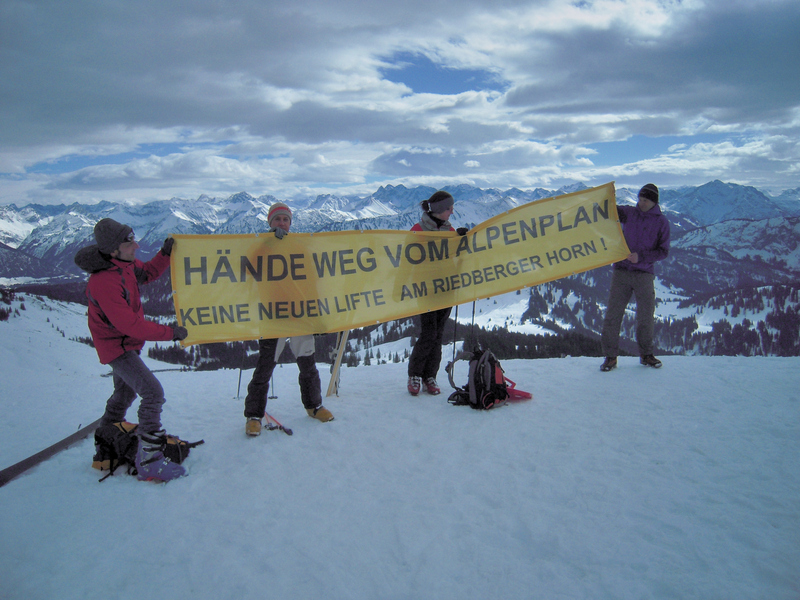 As the planned ski lifts and tracks are located outside the existing ski areas, in a highly sensitive natural area, largely within the protection zone C of the Alps plan, the villages tried to get a weakening of the C protection status of the Alps Plan of 1972. As is usual in such cases, they pleaded that the project as the only way to secure the long-term tourism in both places and that the towns would die if not granted the right to destroy further the nature. On March 13, 2015, the Bavarian Environment Minister Ulrike Scharf (Social-Christian Union, CSU) wrote in the Süddeutsche Zeitung newspaper that she was not going to support the project. 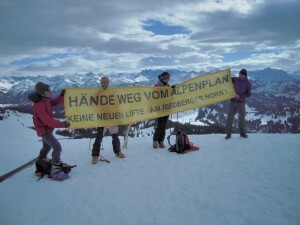 Instead, she advocated for an alternative on sustainable tourism in Balderschwang and Obermaiselstein. She also recalled that her agreement was necessary for the modification of the protection status of the C zone, and thus, even if Finance and Internal Affairs ministries were to support the project, she would oppose her veto to it. So, it seems that, for some times, the threats against this pristine mountain area are discarded. But, as usual, Mountain Wilderness Germany, which opposed the project since the very beginning, will keep on watching all the future developments with great attention, just in case of….